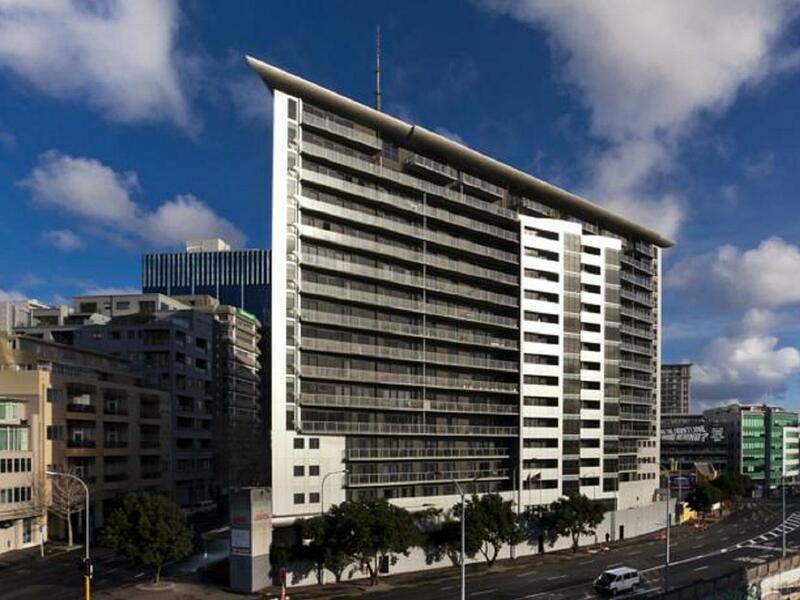 يحظى فندق Hotel Grand Chancellor Auckland City بمكان متميز في محور المدينة والاستمتاع بـ سياحة, مطاعم, تسوق في هذه المنطقة الفاتنة. يسهل الوصول إلى هذا الفندق ذو 4 نجوم من المطار، فهو يبعد عنه مسافة 20 km.Km فقط. 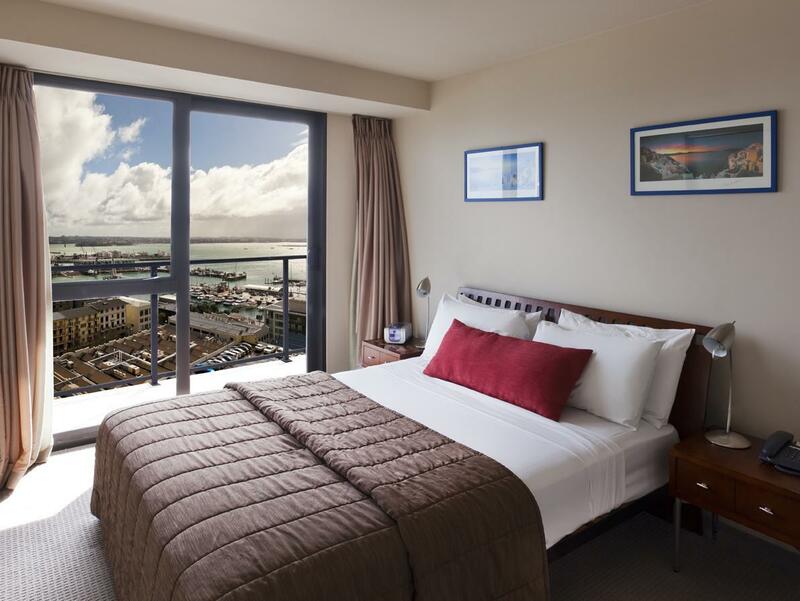 يوفر العقار بفضل موقعة الجيد وصولاً سهلاً إلى أهم معالم المدينة.
. إن Hotel Grand Chancellor Auckland City حريص على توفير الراحة للنزلاء، فلا يوفر الموظفون جهداً في تقديم أفضل الخدمات وضمان حسن الاستقبال. هذه بعض الخدمات الموجودة في هذا الفندق: خدمات بريدية, خدمة غسيل ذاتية, خدمة التنظيف يوميًا, أمن على مدار 24 ساعة, مكتب الاستقبال على مدار الساعة. ادخل إلى واحدة من الغرف 70 وتخلص من عناء نهار طويل بمساعدة مجموعة كبيرة من الخدمات كمثل تلفزيون بشاشة مسطحة, غرفة معيشة منفصلة, غرف لغير المدخنين, مكيف هواء, تدفئة الموجودة في بعض الغرف. يمكنك طلب اللائحة الكاملة للخدمات في الفندق ومن بينها مركز للياقة البدنية, ساونا, حمام سباحة داخلي, سبا. إن كنت تتطلع إلى إقامة مريحة وهادئة في المدينة، فستجد في Hotel Grand Chancellor Auckland City بيتك الثاني. أجر إضافي يتراوح بين1.9% و 3.35% سينطبق عند استخدام بطاقة إئتمانية. لمزيد من التفاصيل برجاء التواصل مع العقار. ROOM WAS A DECENT SIZE. THERE WAS 3 OF US & WAS NO PROBLEM. wE ARRIVED LATE AT NIGHT AND WERE ONLY THERE FOR 1 NIGHT AS WE WERE ON A CRUISE LEAVING THE NEXT DAY. NO PROBLEM FOR THEM TO HOLD OUR LUGGAGE UNTIL BOARDING TIME, WAS ONLY A 5MIN WALK DOWN TO THE TERMINAL. I chose this property based on location as it was walking distance to all the meetings I had lined up. I found a couple of decent small grocery shops within 500m as well - which meant I could use the room's kitchen to prepare my meals. The gym was never busy and I applaud the inclusion of a Concept II rowing machine. Only one complaint - the windows are single-pane and it's a noisy area. I curse that 4:30 am garbage truck and all the hooligans racing up the street when I am trying to sleep. Ask for a high floor because you won't get much sleep in the lower city facing rooms. After reading a lot of bad review about this hotel, I do not put much expectation for this 2 days stay. It is proven that all bad review is WRONG. 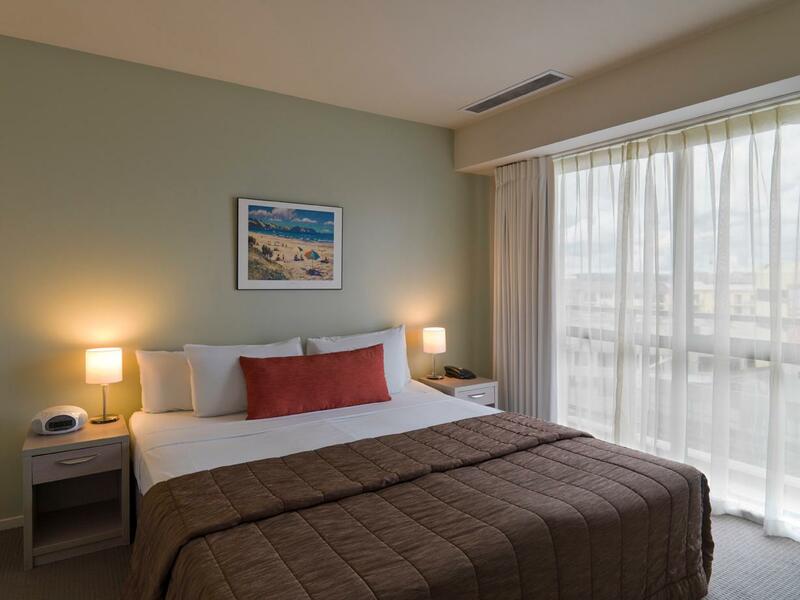 The room was great, the staff was helpful and friendly. Reception had provide all of my request for extra pillow and even personally delivered my boarding pass to my room. Love the hotel and definitely will stay again. For city centre attractions the hotel is very well located but the traffic can be a bit noisy through the night and in the early hours of the morning. The facilities are decent but the gym does not provide towels. Firstly, not very hygienic but secondly meant that I could not use the pool. Breakfast was expensive so we went to a small cafe across the road instead. The hotel is centrally located. Comfortable with good facilities. Good wi-fi available at room for free. Sky Bus stop near the hotel. Restaurants are available within walking distance. But one great disadvantage - they block NZ $100 as security in your credit card and it takes a long time to get unblocked. It took for me more than a month and that too with constant reminders. And till such time it gets unblocked, the credit limit remains reduced by that amount. Despite being a good hotel, I shall never go there in future. I also stayed in Scenic Hotel which is almost a similar good hotel slightly away from this hotel where they block only NZ$1 (only one) as a token. Out of the main shopping area, but still a walkable distance of about 10 minutes from Queen Street. Convenient if you want to go to Sky Tower along Hobson Street. The fittings and furnishings were a bit worn and shabby, but accommodation was clean and well-provisioned and the staff friendly and efficient. Loved the proper coffee compared to the awful stuff most hotels stock. Great location and price however very outdated decor. Bed was very uncomfortable (hard) and they didn't have mattress toppers to help. Ceiling leaked above shower. Very beige!!! Hotel in general quite dirty, for example the carpets in hallway and room largely stained and elevators dirty. Next time I would pay more for a better hotel. I love my bed, 2 nice balconies, great room layout. Great location. It has the go green plan, which it's great. One thing it's go green save water n power and another is d choice of not cleaning what need? I'll suggest to improve the vacuuming, bathroom basin even from day 1. Other doors in the corridor were slamming both days of my stay. My wife and I just stayed two nights and we will certainly stay again when we return to Auckland. 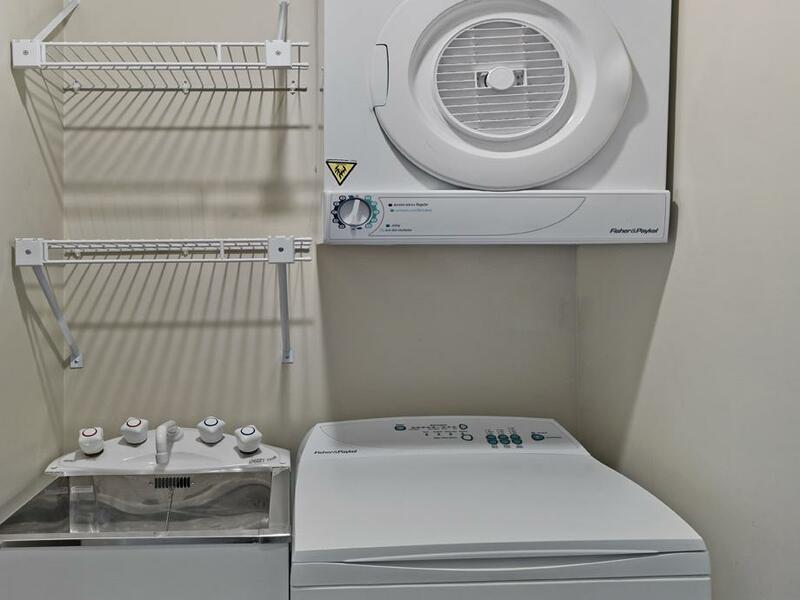 The staff are friendly and helpful, the location is an easy walk to the downtown or viaduct basin areas. The room itself is far better than many similar priced hotels I have stayed. We had a balcony with a nice view over the city. Everything was clean and comfortable. Great value for money! My stay was superb from when I arrived right through the couple of days I stayed, then after I left as I needed to call the Hotel as I'd lost my glasses. The Hotel Manager personally checked my room searching thoroughly for my glasses. My one bedroom Suite was very clean and well appointed. 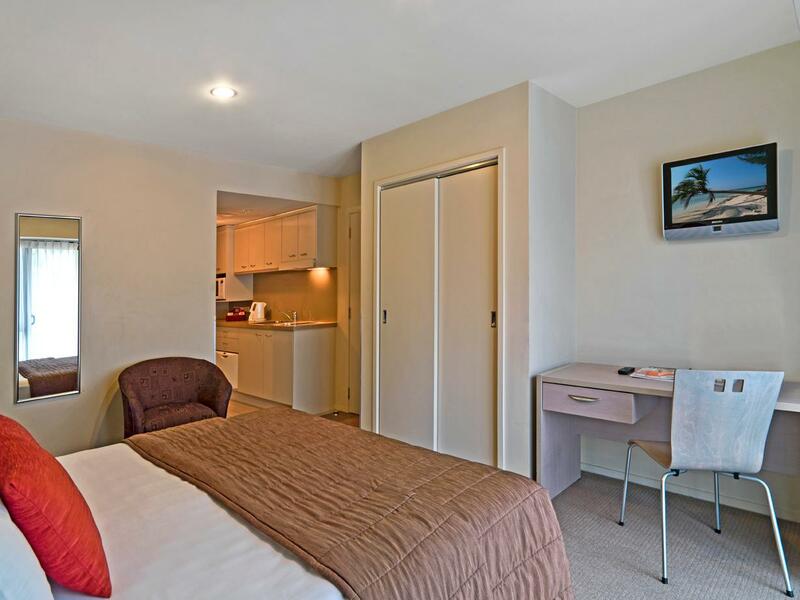 Very delighted to have such a spacious room in Auckland City. Very easy to find from the Motorway & easy departure back onto the Motorway. 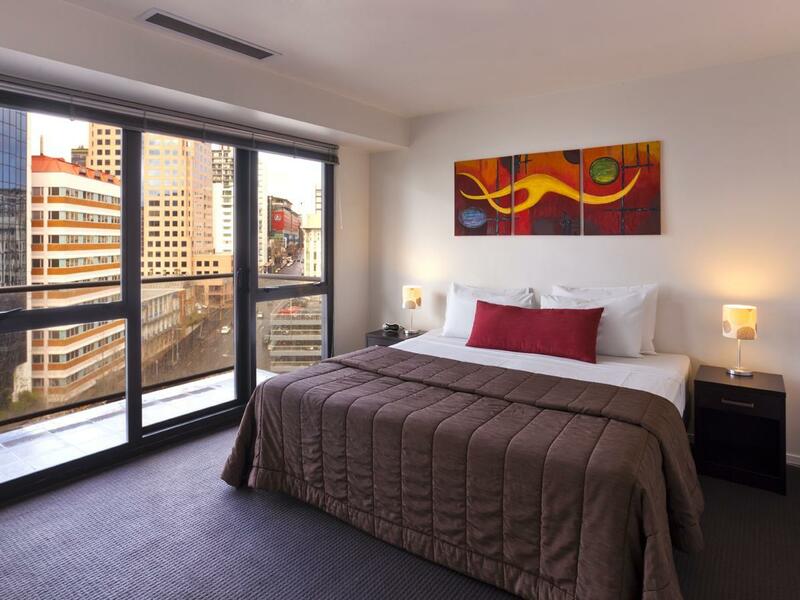 I am so impressed with the staff, property & price that I'll be making further trips to Auckland providing I can get a booking at Hotel Grand Chancellor Auckland City. We got the airport bus & lugged our bags to the Hotel, which was ok. The staff were very friendly & helpful, room very good so could've stayed longer (time permitting) ideal for self catering (lunch & breakfast) with semi kitchen. The cafe for $8 all day breakfast opp is great. 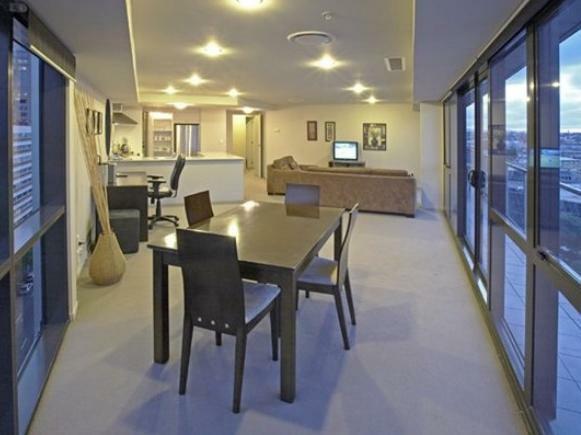 Easy walk to shops & lively harbour restaurants. All in all great value for money. Very nice location at the bottom end of the city very close to the waterfront. The room was clean and quite large, with a spacious bathroom and balcony. We did not eat at the hotel so cannot advise on the food, the staff however were very nice and helpful. We even experienced an evacuation due to a fire alarm going off but the staff were excellent in regards to this. Will go back again as is close to heart of city and everything you require is very nearby. Lovely room with an excellent view. Location very good. Will sure come back.